150 Mile Sponsored Bike Ride Completed! 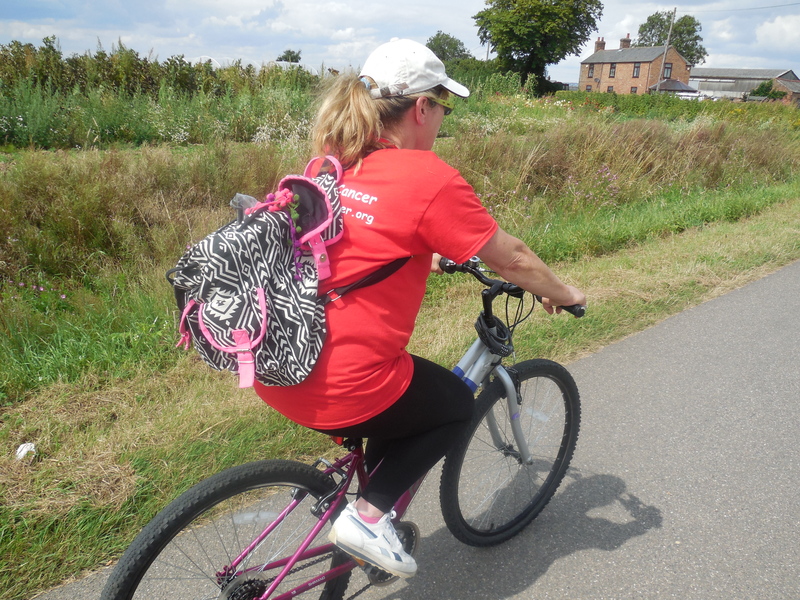 Well done to Christine for completing her 150 mile sponsored bike ride to raise funds for Help Stop Cancer. We are very grateful to her for going to all the effort to raise funds for Help Stop Cancer. Thank you. Christine had the support of her husband Dave who rode with her some of the way and provided much needed drinks in the heat. If you would like to know more about our fundraising or would like to get involved in help us with our fundraising click here to go to our fundraising page. This entry was posted in Cancer, Cancer Treatments, Funding and tagged alternative cancer treatments, cancer, fundraising, help stop cancer. Bookmark the permalink.